Small villages in remote areas, the purest nature, wildlife safaris, northern lights and the midnight sun. All this in one place. We’re talking, of course, of the Lofoten Islands. A disorder of cliffs that overlook deep fjords, in a place that remains unchanged since the beginning of time. When you least expect it, some houses appear in the green landscape, where the land meets the sea. – The easiest way is to fly to Harstad / Narvik Evenes (daily flights from Oslo – 1h30). Once in Narvik, you can take a public bus to Svolvær. There is only one shuttle bus from the airport Harstad / Narvik Evenes to Harstad, Narvik and Sortland. Take this into account when planning your trip. – Another possibility is to fly to Bodø (daily flights from Oslo – 1h30) or take a train. Once in Bodø, you can take a flight to Lofoten (20-30 minutes) or get by public bus or boat to Svolvær. – Once in Lofoten, the best is to rent a car to reach the best spots. Or you can take the public buses. It is the largest city in Lofoten, where you’ll find restaurants, hotels, shops, art galleries … From there you can take a cruise on the Trollfjord or climb to the top of Svolværgeita to enjoy fantastic views of the islands. Since the late nineteenth century, it has been one of the most important fishing villages in the Lofoten Islands. This picturesque fishing village is considered the most beautiful place in Norway. 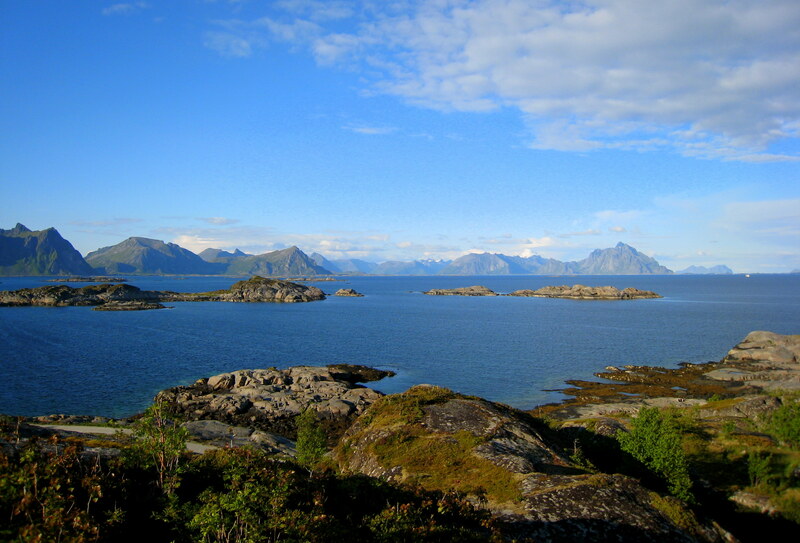 Located in the heart of Reinefjord, it is the best place for nature lovers and hikers. This is the last town through which runs the National Tourist Route Lofoten, so many people call it the “end of Norway”. It is worth going there just to visit the curious Stockfish Museum. From October to January, ships and boats leave to observe sea eagles, seals and, with luck, orcas. From October to March, you can observe this magic show. Lofoten is one of the best places in the world to do so, due to its perfect location in the north of Arctic Circle and its mild winters. If you visit the Lofoten Islands in summer, you can enjoy this wonder of nature: the endless nights where the sun does not set below the horizon. The stockfish or dried cod is one of the most typical and tastiest dishes of the Lofoten Islands. It is hung and dried in the wind during winter. Rafting and kayaking are very popular among tourists and locals. And in winter you can practice ski, of course. Hiking and biking in the region will allow you to learn more about this magical place, preferably between late spring and early autumn. The Lofoten islands seem anchored in history. 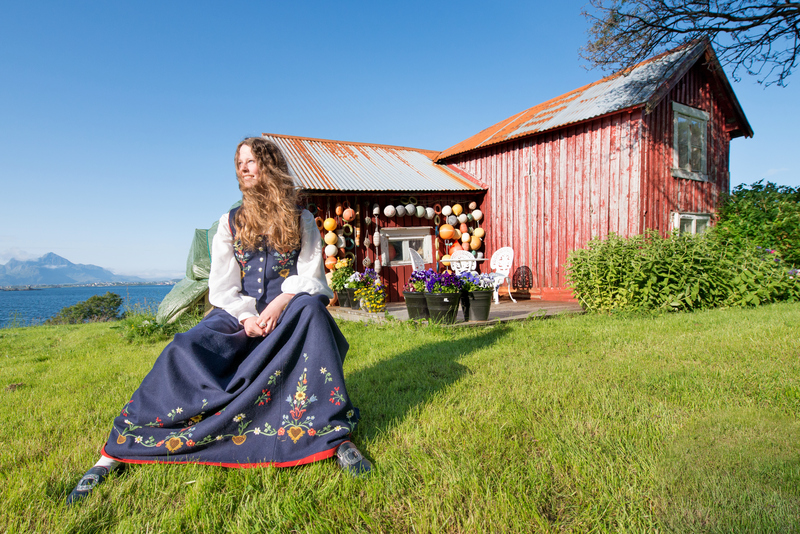 Visit the Viking Museum at Borg to learn more about its interesting history, or sleep in a robruer, fishermen‘s cottages that bring color to the islands. There are many reasons to visit this magnificent natural paradise. Book your stay in one of our hostels in the Lofoten islands: Å, Ballstad, Stamsund and Kabelvåg.